Assault and battery are very commonly used words, but are often misunderstood. The common misconception is that when somebody is assaulted, physical pain or harm has been inflicted upon them. This is not the case. As defined by Florida law, an assault consists of any words or acts that cause a reasonable person to fear that an act of violence towards them is imminent. Battery occurs when the threats are acted upon and physical harm is inflicted onto another person, while threats and acts of intimidation alone are considered to be assault. The word “aggravated” implies an extra degree of severity is associated with the crime charged. These are very serious charges, both for adults and juveniles. The violent and severe nature of the charge makes it very likely for a judge to try a juvenile accused of aggravated assault and aggravated battery in adult court. The Broward County aggravated assault and battery lawyers at The Ansara Law Firm have the experience and the unique methods necessary to properly protect the rights of any juvenile accused of these crimes. Made against a member of a protected class, such as a police officer, healthcare provider, social services worker or a pregnant, developmentally disabled, or elderly person. Aggravated assault is a felony of the third degree, punishable by up to 5 years in prison, up to 5 years of probation and up to $5,000 in fines. Even though no act of violence need to be carried out to be considered aggravated assault, the law takes this offense very seriously because of the psychological damage that the fear of violence could cause. Free speech is protected under the First Amendment of the U.S. Constitution, however the Supreme Court has previously ruled that threats are not protected under this amendment because the law simply cannot allow for people to be making intense threats without any kind of legal repercussions for the psychological trauma inflicted upon victims. A perfect example of aggravated assault is pointing a gun at someone, even when the defendant had no intention of killing or shooting the victim, a reasonable person would experience a great deal of fear from having a gun pointed at them. an act of battery committed against a person who is pregnant at the time of the offense and where the offender should have known the victim was pregnant. The term “deadly weapon” varies from incident to incident, but is based on the capacity of the instrument used to cause great bodily harm, permanent disability or disfigurement. In a recent Florida juvenile aggravated battery case, a child stabbed one of his classmates repeatedly in the back with a plastic fork. The child was originally charged with aggravated battery because the arresting officers considered the fork to be a “deadly weapon,” however in proceeding in court, the injuries sustained by the victim were very mild and the plastic fork was deemed incapable of causing “great bodily harm.” The judge sided with the defense and reduced the charge to simple battery. In another case, a woman broke a beer bottle over a man’s head during a bar fight. The woman was charged with aggravated battery, and the charge was upheld because a broken beer bottle with sharp edges could have cut the man’s eyes or face and caused him great bodily harm, permanent disability and disfigurement, therefore, rendering the beer bottle as a deadly weapon in the eyes of the law. There are several defenses to both aggravated assault and aggravated battery. The defendant and the victim could have been mutually combative, meaning they were both engaging in combat with one another therefore making them both guilty. If an aggravated assault or battery was committed in an act of self-defense or defense of another, then it is possible for the charges to be dropped. Aggravated assault and battery charges are very serious and could be potentially life-ruining for any juvenile who receives them. Any time your child faces criminal charges, it is absolutely imperative that you retain an attorney to protect their rights and ensure that they can move past their legal issues and lead a productive adult life. That cannot happen if a juvenile has a violent criminal history if they are charged with aggravated assault and battery. The Broward County criminal defense lawyers at The Ansara Law Firm have defended hundreds of clients accused of both simple and aggravated and assault and battery. Our proven record and unique methods have established our reputation for success in the community. Don’t leave your child’s future up to the judge- call The Ansara Law Firm today. 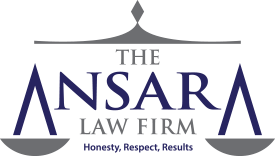 If you, your child, or the child of a friend or loved one have recently been charged with juvenile aggravated assault and battery, call The Ansara Law Firm immediately at (954) 761-4011 to schedule a free initial consultation to discuss your legal matter.